The year is winding down, but some fun things are starting to gear up. First: final Comics Shows this year. 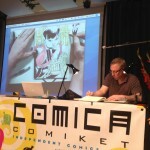 There were two fun comics shows at the end of November: Comica Festival’s Autumn Comiket. It’s a one day festival held in the great hall of the Bishopsgate Institute. 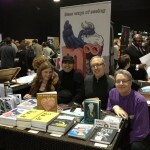 It’s a great mix of old school, institutions in the UK comics scene alongside exciting new faces. 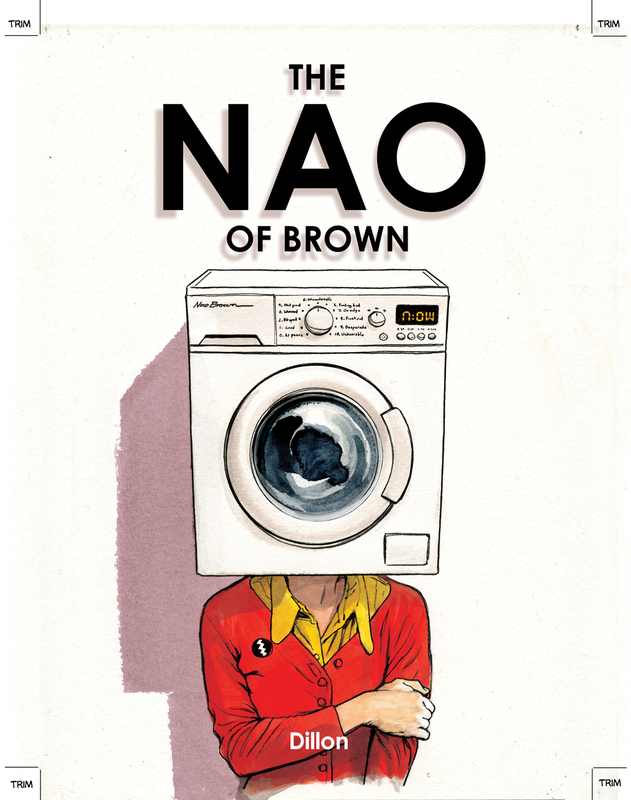 Two of the more exciting books on my to read list now from that show are Glyn Dillon’s “Nao of Brown” from Blank Slate Books. It’s the story of an English/Japanese woman with obsessive compulsive tendencies. 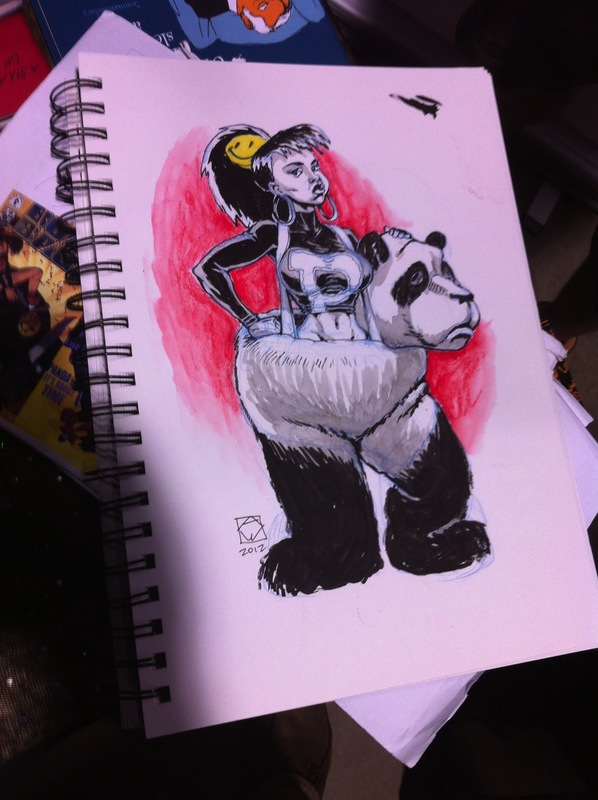 Dillon came up around the same time Jamie Hewlett and Nick Abadzis and others were being published in Deadline magazine (where Tank Girl was born). But instead of going down the comics path, he chose storyboards for film and television. 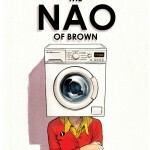 “Nao…” is a startling emergence into doing a personal story by a man who’s honed his craft professionally for years. 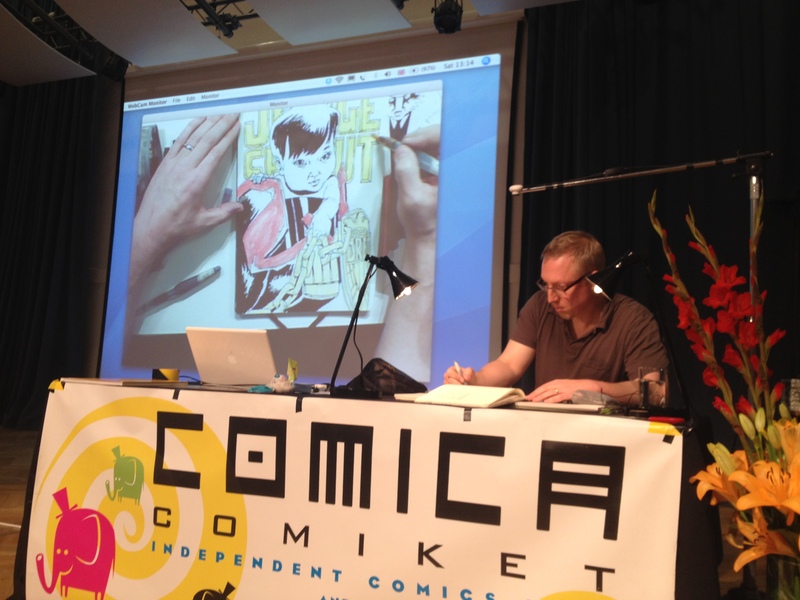 One of the highlights of Comiket is that the organisers, Paul Gravett, Peter Stansbury, and Megan Donnelly put on what they call the drawing parade: a series of artists get on stage and draw for 30 minutes with their own selected background music piping through the venue. The drawing is projected onto a massive screen behind the artist. Dillon sat there, and with a minimum of preparation, drew a perfect drawing of Nao stood on a tube platform, drawn in perfect one point perspective. Another colleague of mine, Paula Knight, snapped a candid photo of Ian Williams and me stood there with jaws on the floor. On the other end of the spectrum, I got to meet a kid with the coolest name ever: Zoom Rockman. He’s 12 and destined for greatness. When I asked his mother the story of the name, she said that as Zoom’s father and she were both artists, they wanted to make sure that Zoom and his little brother (Ace!) would have good solid jobs in the future. So they figured if they gave them rockstar names that they would eventually rebel and become accountants. Well, the rebellion has yet to happen as Zoom has been writing and drawing his own comic called The Zoom. I’m looking forward to reading both. I was lucky enough to take part in the drawing parade myself. Since my previous live drawing experience had been a less-than-amazing outing (I’d have called it an unmitigated disaster, but the event organisers were far kinder) during a Quick Fictions literary event in Brighton where I was to draw aspects of 300 words stories on a projected iPad image whilst the stories were read by their authors, I decided to prepare a little better. 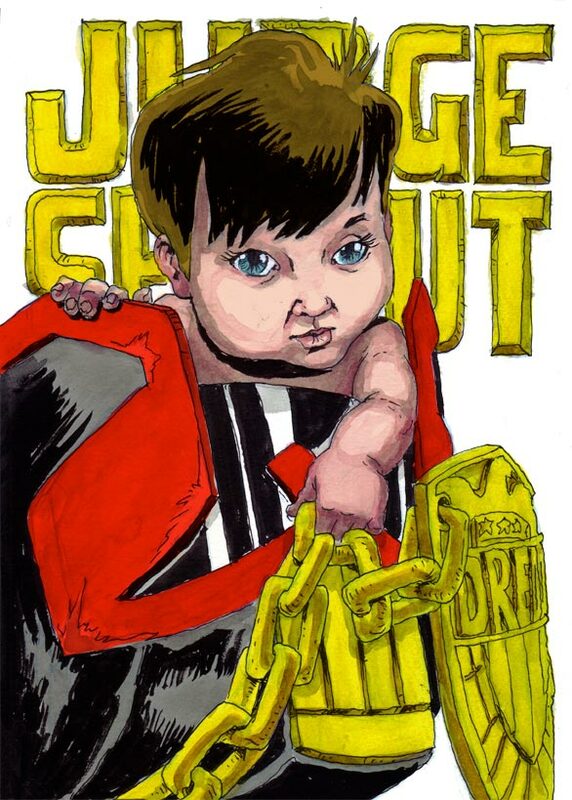 I’d been wanted to do an image of Sprout as Judge Dredd (don’t ask why, it was just a compulsion) so took the opportunity to do that with the soundtrack of some newly acquired musical deliciousness. All in it was a fine outting. The next show was a bit of a randomly wonderful one. 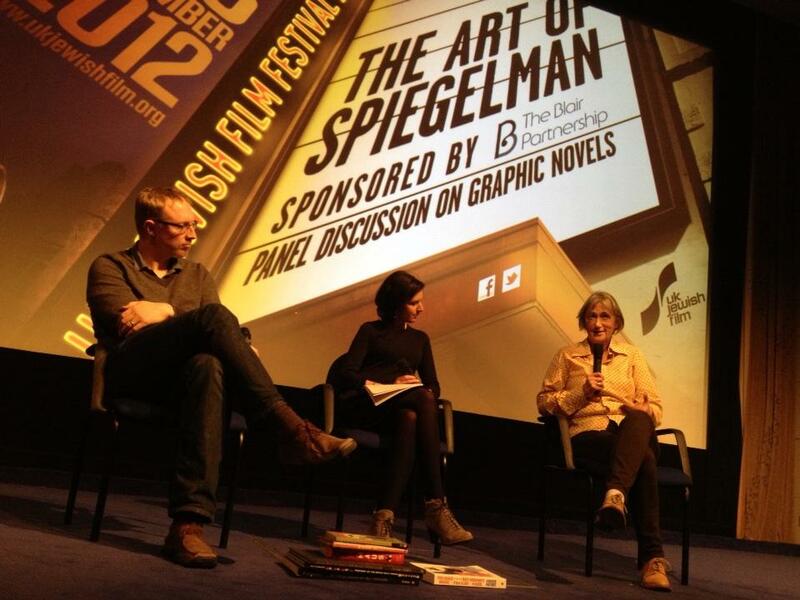 My editor at Myriad was asked to take part in a panel on the work of Art Speigelman at the London 2012 Jewish International Film Festival. 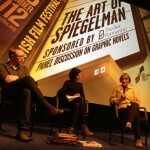 They were doing a double bill of a documentary about Speigelman and his work with an animated musical adaptation of his response to 911 “In the Shadow of No Towers.” The idea was to get some comics practitioners and academics to talk about Speigelman and his work. A couple of the other people who were lined up had to drop out at the last minute so I was asked to step in. It was fun being able to speak about the impact Maus had on me when I arrived as a Freshman at Yale University and saw it in every university bookstore on campus as it had won the Pulitzer prize the year before. I wouldn’t say that I chose to do a graphic memoir about my relationship with my father using animal headed characters as a result of having read and appreciated Maus. But it would also be untrue to say that it had no impact on me. 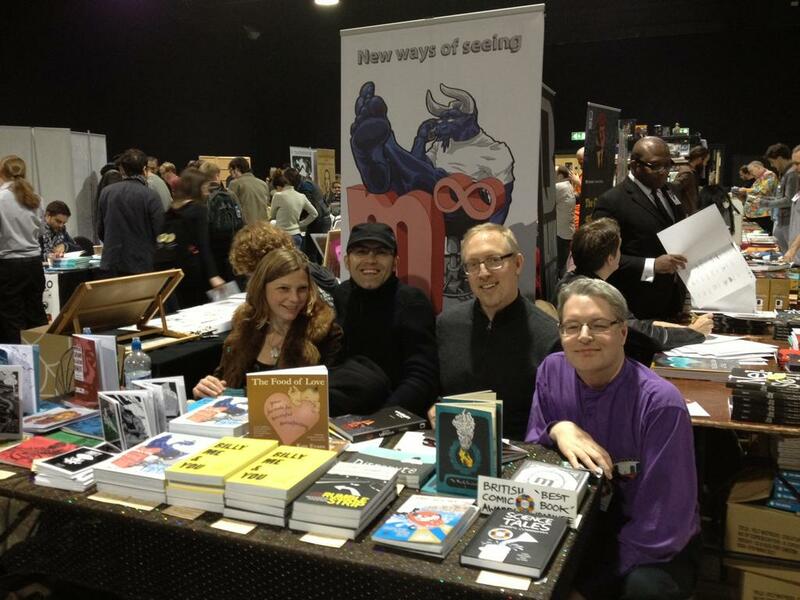 The next trip was up to Leeds for the ThoughtBubble Festival. It’s one of my favourite shows here in the UK. Such a great range of talent in a cool city with kind, interested readers and fans popping by. But the best part was being able to travel up with Tom Eglington and Boo Cook. 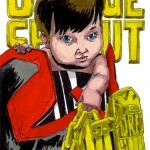 Tom is a writer who’s got some great stuff about to land in 2000 AD. Boo is an astoundingly great artist who’s done lots of work on Richard Starking’s Elephantmen and a good amount of work in 2000 AD as well. Once there, we met up with Andy Pearson and Ruth Munro. Ruth is the design genius behind Brighton boutique dress shop Get Cutie‘s ongoing success. Andy is an extraordinarily talented illustrator, and the main reason I was able to get picked up for publication by Myriad Editions. If he hadn’t mentioned to my editor, Corinne Pearlman, that I was working on a graphic memoir that she might like, I might never have been published. I was able to spend time with the aforementioned as well as Darryl Cunningham, author of British Comics Awards Best Graphic Novel nominee, Science Tales. All in it was a very good show. One of the best parts about repeatedly getting out on the comic convention circuit is that I’ve started to make friends from all over. Leo is a Scot and always carries around a new themed sketchbook. 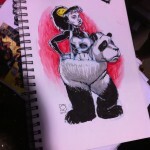 This time he had Panda from Jason Pearson’s “Body Bags”. I was only tangentially aware of the book and definitely didn’t know the character, so it was fun to do this take on her (apologies of course to true fans of the books). Anyway, I’m looking forward to next year already. I’m also particularly looking forward to being able to book the correct Holiday Inn (I booked the one on the opposite side of town). I’m also looking forward to having a good enough sense of the city to not catastrophically misdirect our Chauffeur Tom as I did several times on Sunday morning. Or, as Tom and Andy let me know, they realised I didn’t have any superpowers (the fact that I booked the table for the show months ago, and booked our accommodation had lulled them into a false sense that I had personal organisation super powers. Anyway, the final bit of news for November/December is some developments with Waterstones. First, a couple of weeks ago, one of their bloggers write a piece listing her top 10 graphic novels for someone wanting to get into them for the first time. Mine was on the list! You can read the whole piece here. 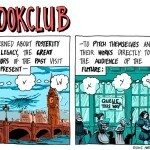 But the second thing is that a guy named Dan Lewis whom I know through the day job and who is now managing the Waterstones blog, having seen some of the posts I’ve been doing here, approached me to see if I might be interested in taking part on their blog, and particularly even doing a weekly strip. After a few days, a bit of conversation with my family over Thanksgiving, “Sprout’s Bookclub” was born. You can check out the first strip here and the second here. New strips will go up each Saturday. Suffice it to say that, seeing as how I need to do something that keeps me interested and is interesting to others, I hope I’ve stumbled across a winning combination: namely, a wormhole has opened up in space allowing the great authors of the past to visit the present and pitch their work directly to the readers of the future, i.e. my 5 month old daughter whom I still call Sprout. On top of all of that, working away on a strip for a Brighton-based anthology coming out next year and chipping away at the next graphic novel. Oh and there’s the baby, the wife and the day job. So there’s not been a whole lot of sleeping lately.